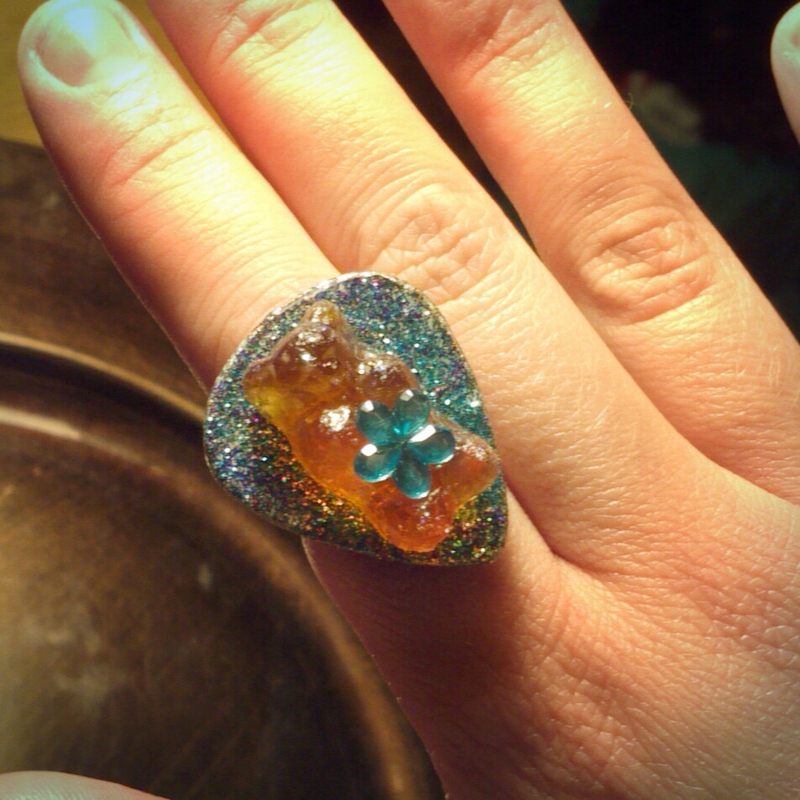 Rock Resurrection Art : New creations! Gummy Candy Galore! 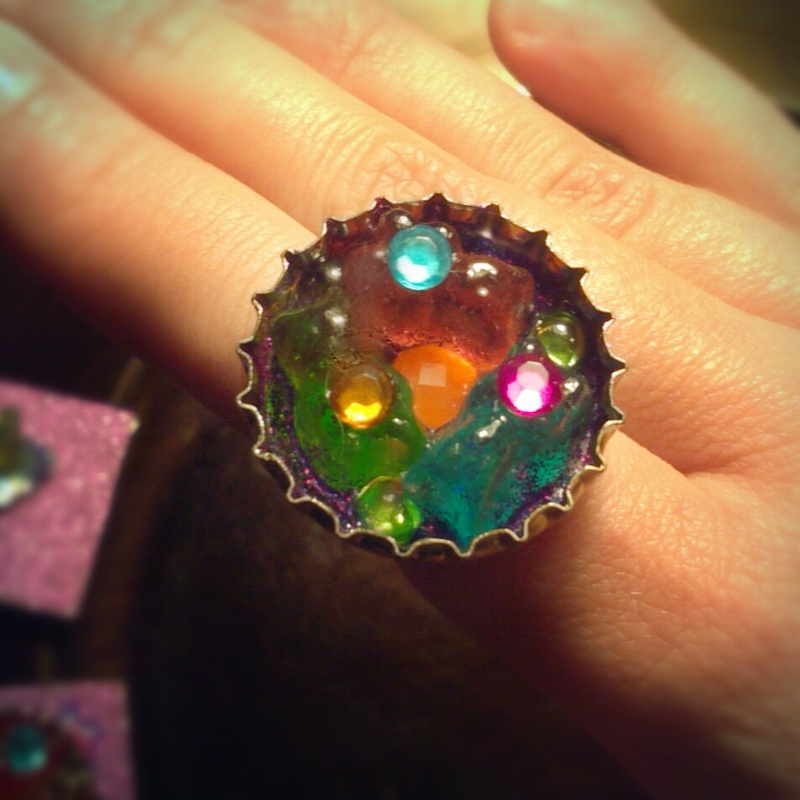 New creations! 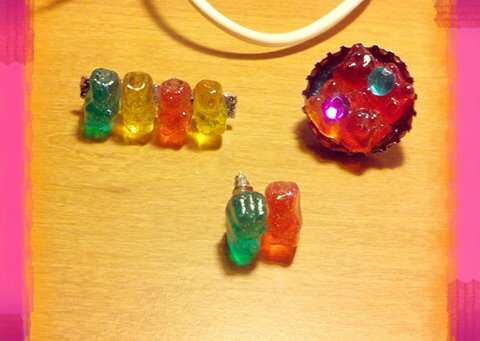 Gummy Candy Galore! 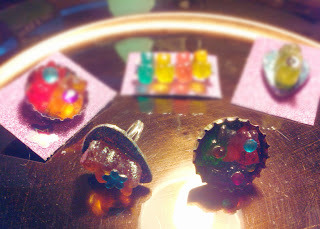 Mini gummy bear brooch, mini gummy bear stud earrings and a gummy bear bottle cap pin. 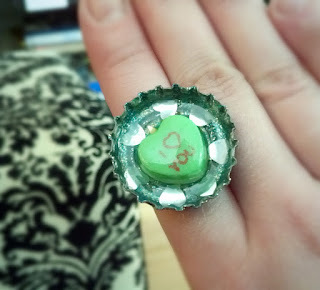 Candy heart bottle cap ring!